This paper was written while in graduate school while working towards an M.S. in Counseling. I am especially grateful to my professor, Dr. Emory Cummins, for his support and encouragement to honor and include my personal exploration of Jungian Depth Psychology and Shamanism in my studies. 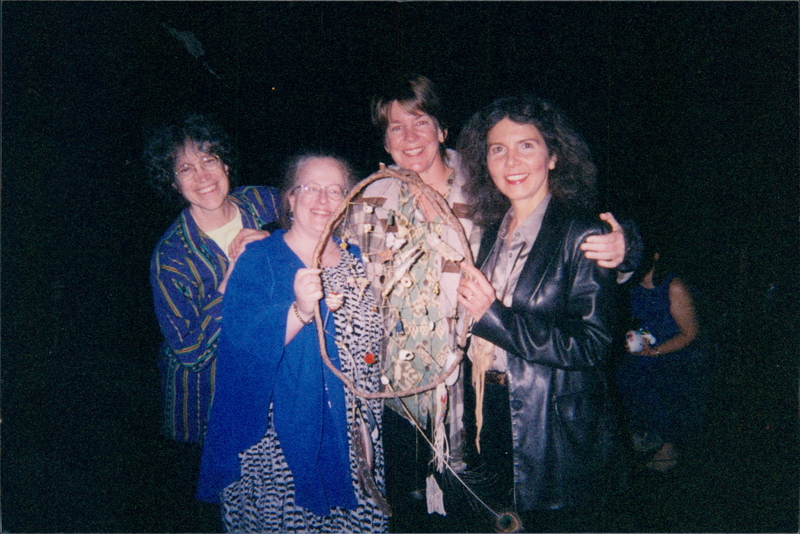 Many years later in Santa Fe, in 1987 because of continuing dream images in relationship to Shamanism, I began work with Serge King and Sandra Ingerman. 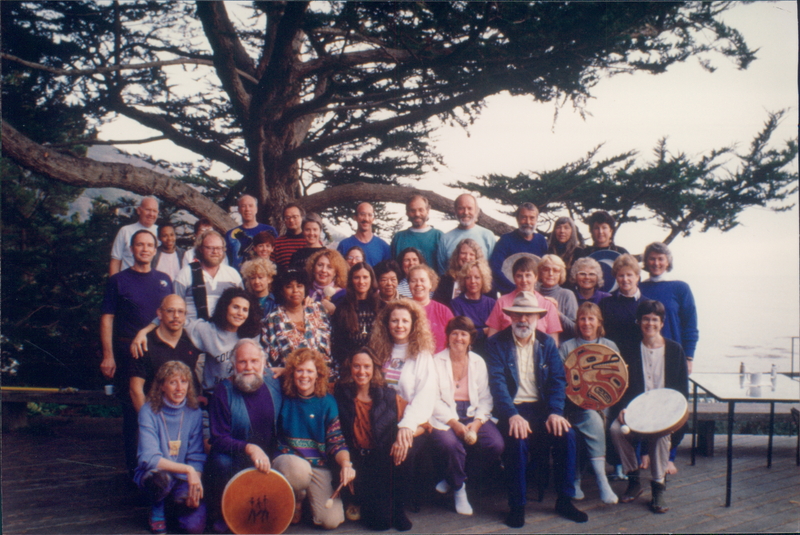 With my move to Austin, TX , in 1990 I entered the Three Year West Coast program with Michael Harner and also studied with Edred Thorsson, Olga Khariditi and Ailo Gaup. 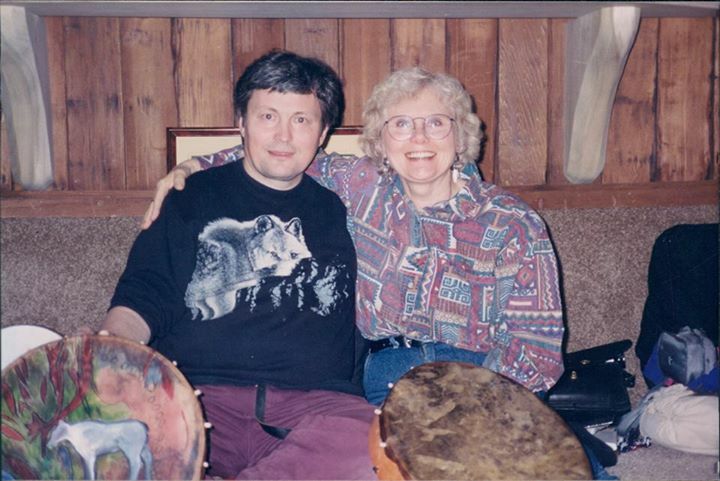 Through Michael Harner ‘s suggestion I was able to arrange a meeting and session with the Sami Shaman, Mikkel Gaup in Alta, Norway where I met his American visitor Gloria Feman Orenstein, authr of The Reflowering of the Goddess, who inspired me to do a women’s seminar later that year in Austin. 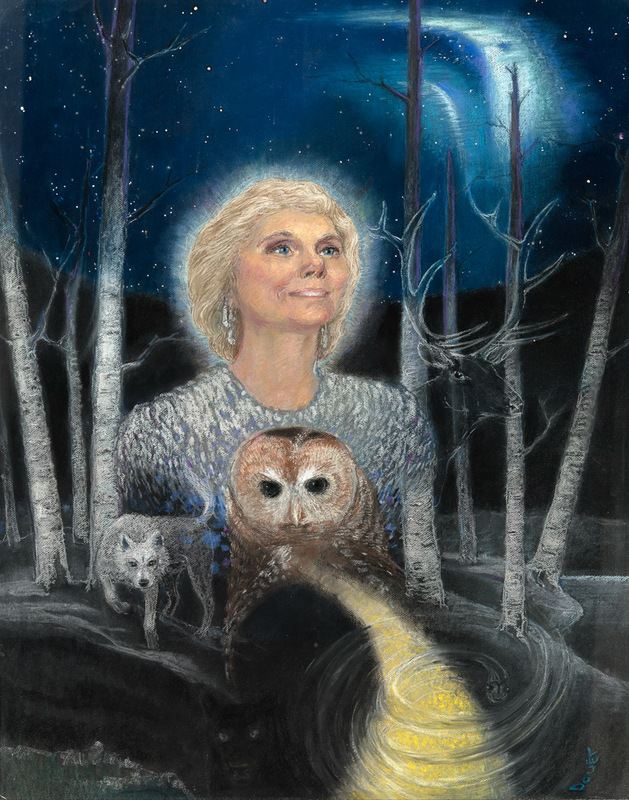 This painting was a gift from Douet a visionary artist. As I completed this personal journey. 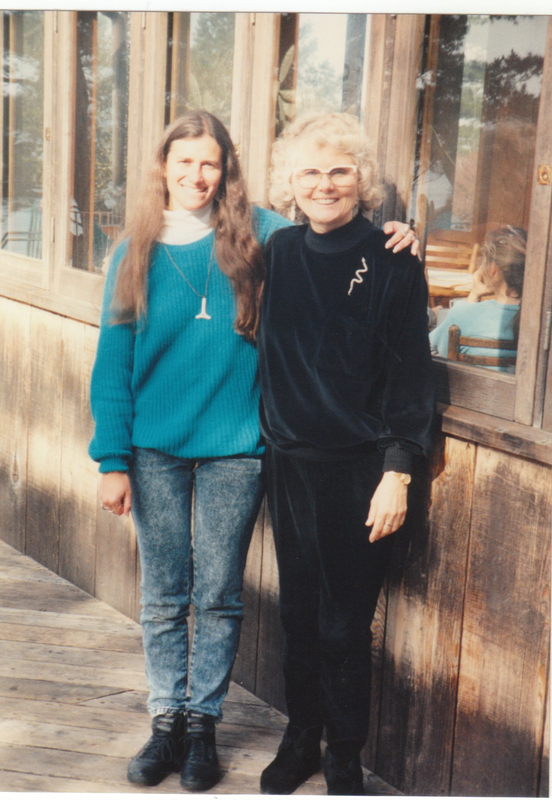 My personal adventure into the possible meaning of my dreams began through my friendship with Rita Broadley. John A. Sanford, rector of St. Paul’s Episcopal Church, author and lecturer, is one of her friends and neighbors. She shared with me portions of her valuable adventure into her own dreams and into Jungian theory. In listening to Rita, I slowly came to value the possibility of what my dreams might be telling me about myself. Some of my dreams were so overwhelming that I wasn’t sure I could tolerate what they might reveal to me. I hesitantly began this adventure through the familiar intellectual route – that seemed safe enough. I attended an extension program sponsored by the Bloy Episcopal School of Theology (affiliated with The School of Theology at Claremont), entitled, “Dreams and a Religious View of Man.” It was held the weekend of October 22-24, 1971. The leaders were Rev. 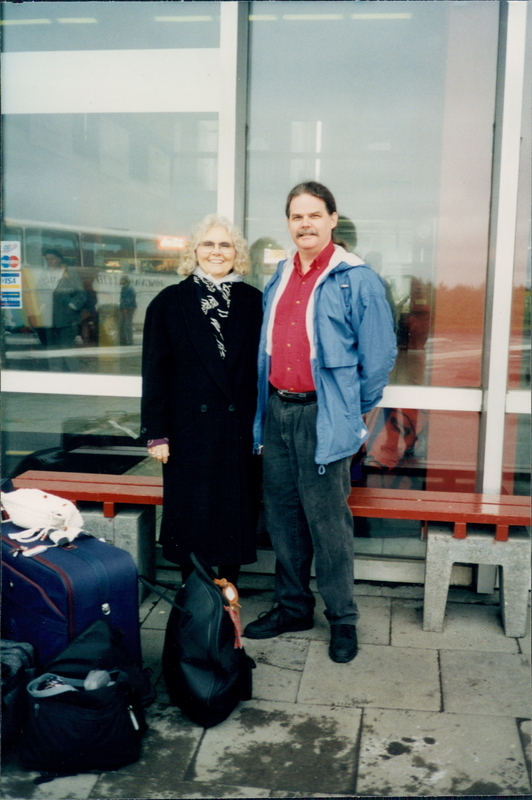 John A. Sanford and Verda Heisler, Ph.D. I learned that the symbols experienced in the dream originate either from a person’s own experiences or from the collective unconscious. In early December 1971, I experienced two dreams that kept bothering me. With the input of this seminar, another lecture and my readings, perhaps I could trust Sanford’s statement that ‘our dreams are in the service of wholeness.” I stopped hesitating and made an appointment for December 10th with John Sanford. The session was fascinating, strengthening and helpful. It seemed that there was a forceful part of me (an animus figure) that could get out of hand if I didn’t recognize it and deal with it consciously and constructively. Furthermore, one dream hinted that there were new roads open to me that weren’t there before. I was not ready to embark on a serious journey yet into further dream analysis, but I found I was ready to attempt the discipline of recording my dreams in a journal, and have done so since. Several of my dreams after that placed me in a college setting. I thought that was interesting and not particularly relevant at all until one day, following an inner urging and sense of curiosity, I found myself in Dr. Chamley’s office, discussing the graduate school courses in counseling. Frankly, graduate school seemed like a far-out possibility, though Dr. Chamley seemed to have no doubt about its veracity for me, and literally, before I knew it, I was in summer school. Did the dream know first and lead me there? 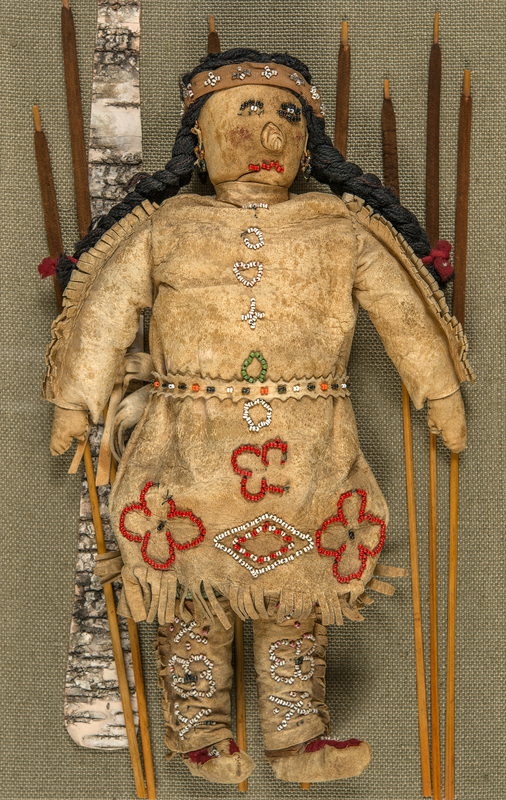 This is a Chippewa doll from the Fond du Lac Indian Reservation where my mother worked as a public health nurse. It was given to me at age six. I named her Star Dancer. With the launching of the possibility of a new career, I began to wonder what my uniqueness would be in the role of counselor. I resonated to the meaning of Martin Buber’s statement, “In the world to come,” Rabbi Susha states, “I shall not be asked, why were you no Moses, But I shall be asked, “Why were you no Susha?” I couldn’t even verbalize at that time what it was I felt I needed to know – I only knew it was an inner sense of knowingness – (of wholeness – could that be it?) that I sought and I knew not from whence it would come. More and more, as I contemplated the power and awe of being available to people at this level, I realized that I couldn’t consider facilitating a person’s journey into Self without respect for my personal relationship to Spirit, to the numinous. I knew I had to know how to deal with it. 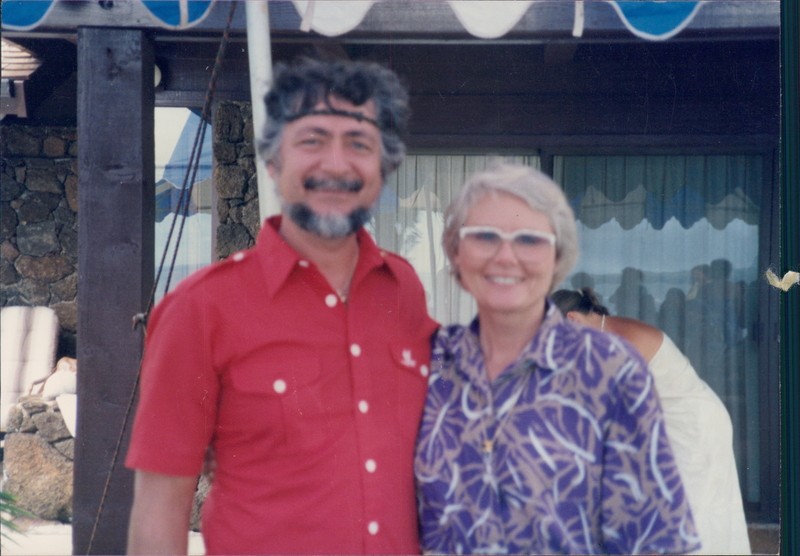 All of my Jungian readings, plus my own brief, personal beginnings in understanding dreams, led me to return to John Sanford on March 4, 1973. Thus did I begin Jungian dream analysis twice monthly in a serious vein. There are many dreams I could discuss here, but one stands out as possibly the most relevant to facilitating my beginning understanding of what was required of me. On March 26, 1973, I dreamed I was in a foot doctor’s office. I was astounded (in the dream) at noticing and realizing the number of people who needed to see a foot doctor. The waiting room was very full and I was among those waiting. The scene shifted and I saw Mr. Ben (a former Cleveland neighbor) in his new home in New Hampshire, shouting angrily at his son, Wayne, to get out of his house. Once again the scene shifted to a hospital where I announced to a group of co-workers (nurses) that I was not going to be a hospital nurse any longer, but that I was going to become a public health nurse. I struggled with my own associations to this dream until my next appointment on April 5th. I could make nothing of it except that perhaps the latter scene related in some way to my conscious change of interest towards preventive efforts in the counseling field. I recalled Mr. Ben as a thin, sharp-featured, harsh, introverted, very authoritarian man whom I disliked. He had never entered my dream life before. His son, Wayne, I perceived as an outgoing, warm, likable chap. I read that the house symbol “is the fabric of life, the conscious orientation in which we live,” and I knew all of this was somewhere in me to yet be addressed. 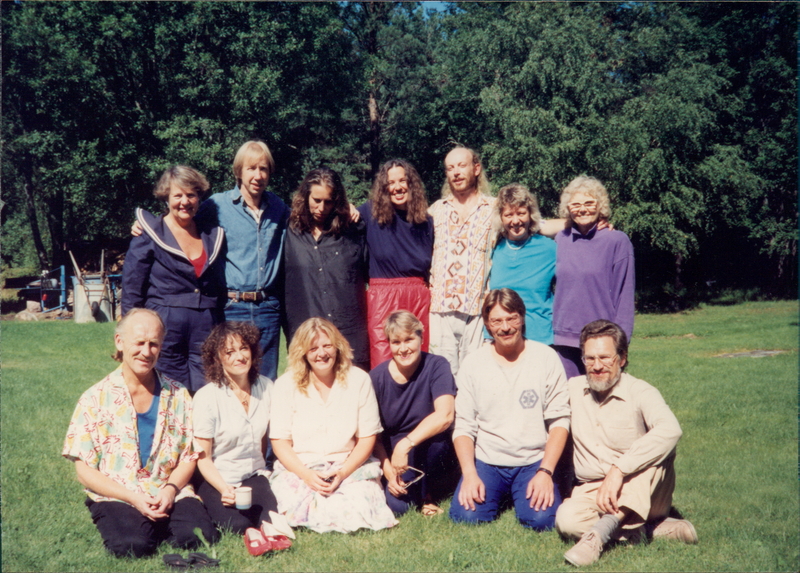 Loci with Sandra Ingerman, my teacher and inspiration for soul retrieval practice. Entering my reading of Shamanism with trust in Jung’s emphasis that modern man must get in touch with the primitive, I began to find myself close to a mild state of shock, as I matched some of my own life experiences with those of the ancient shaman in shamanism. I had had dream experiences of being places I had never been, with later verification of their veracity. This could be explained on the basis of soul travel, if such a phenomenon is possible. I don’t know. It was unexplainable and puzzling to me. I had a strong premonition before an auto accident not to go. It seemed interesting that I have always sought a bird symbol for my Christmas cards, though I haven’t been aware of that pattern until now. It seems that “-shamanism exhibits a particular magical specialty” – “mastery over fire,” “magical flight,” etc. The shaman is a magician, but not every magician is a shaman. Recently, through an astrological reading, I learned that my horoscopic element is fire. I did not yet know what that meant. A common theme of my dreams has been fire. One image was particularly striking – my home town was on fire all around me; fire engines were screaming, going here and there; in the center of all this, I was in my driveway happily buying strawberries and mushrooms from an old man with a vegetable cart. Apparently there is nourishment available for me within the field of fire. I learned that shamans are recruited either by hereditary transmission or spontaneous call, though some few become shamans of their own free will. 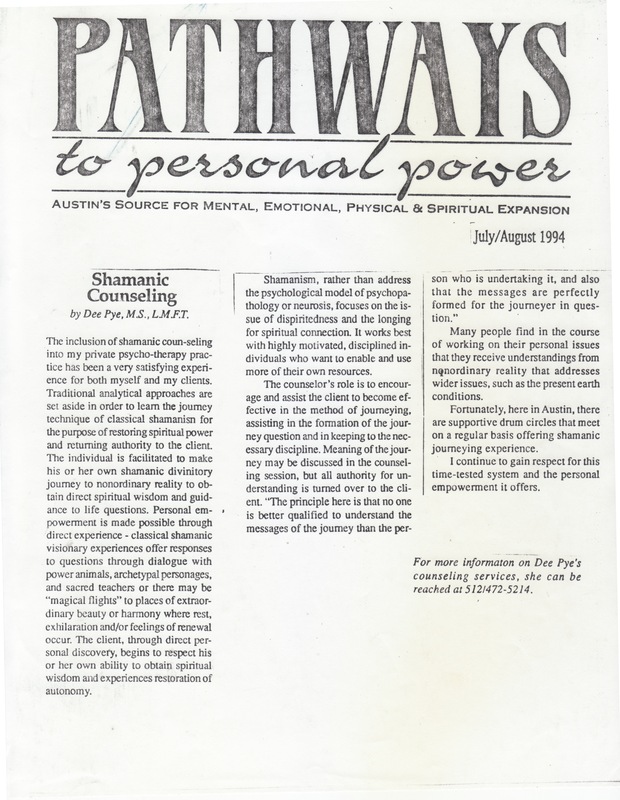 “Self-made shamans are considered less powerful than those who inherited the profession or who obeyed the ‘call’ of the gods and spirits.” “The shaman begins his new, his true life by a separation” – “by a spiritual crisis that is not lacking in tragic greatness and in beauty.” He is not recognized until he has received two kinds of teachings: 1) ecstatic, such as dreams, and 2) traditional or didactic. The new life is considered a gift from the gods or spirits. Early signs in puberty, coupled with a crisis in later life are typical of a shaman’s development. 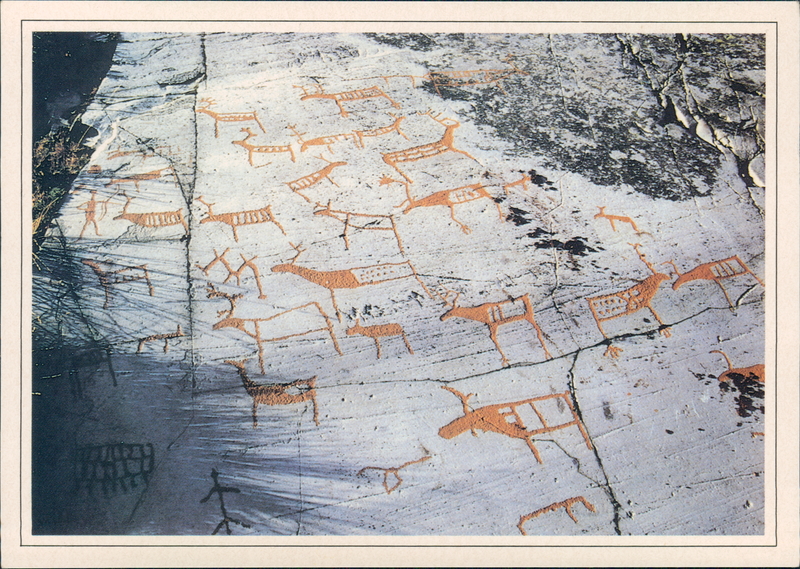 (Discussed by Finnish shaman K.E. Karjalainen). What was I to do with this? I had no idea.. Some of these concepts were beginning to match some of my experiences a little too closely to be comfortable. Had I been recruited in some strange way, I asked myself? A spiritual crisis had come by way of the label of Multiple Sclerosis – psychologically, and physically, it was a life and death crisis. I chose to begin dream analysis with John Sanford. The only pubescent sign, other than the usual turmoil one experiences, and other than that church was always extraordinarily meaningful to me as a child, was that I often saw lights around people’s heads in church. I used to wonder about it, but no one else I talked to saw it, so I learned to keep it to myself. I still do. Considerable information about auras is coming forward, so I feel less unusual. More associations that matched at a deeper level. I did not follow my premonition one day in 1966 and had a severe auto accident. The above could have been incidental – I don’t know, but then in July of 1972 our new house was severely struck with lightning. This time, I had followed my intuition, did not do the sewing I wanted to do in that room, but went instead to a meeting, despite the raging rainstorm. I was in conflict about going, but followed an inner urge to leave. Upon returning to the house, I discovered lightning had struck our house sharply, doing considerable damage. Had I been sewing, I frankly believe I would have been killed or severely injured. At the time I did not know anything about this ancient association. I followed my intuitive sense. During the illness which was labeled Multiple Sclerosis following an auto accident, I experienced many digestive problems, but one of the most disconcerting symptoms was vertigo – the neurologist never did understand why I spun around and not the room, but that’s the way I experienced it. In all, it was a mysterious illness, which I have attacked from every direction possible, ruling out neurological food allergy, trying to put stops on psychological energy loss, and concentrating on rest, high vitamin and protein intake and regular exercise. I do have the feeling I have helped myself – the neurologist gave me the label and medicine that I chose to stop taking. I have had several prophetic dreams, which I will not take the time to discuss in detail here. It is an unusual experience. I can’t say whether I am morbidly sensitive – it is possible. I certainly became, throughout this illness and thereafter, more meditative and definitely have sought and treasured solitude more. I can’t say if I’m terribly absent-minded – I don’t think so. My family has noticed and commented on my being more introverted. In attending a creative stitchery course last year, I designed a Cecropia moth, which I am still working on. One day I suddenly realized the possible symbolism of having chosen a moth – it flies towards the light, and a moth has been dead, so to speak, and returned to life. One does wonder why one does what one does! Could this death theme possibly be related to why, at one point along the way through this journey into myself, I wrote my own funeral? At the time I was puzzled by my own behavior – I really had no idea why I would want to do such a thing. I was not depressed, nor did I have suicide ideation at that time – it simply was something I felt driven to do and I felt good about it. One of the early ecstatic experiences may be dreams of dismemberment of the body. I have had two such dreams in the last year. They were strong experiences. I have always treasured my garden and especially my present one. When we began plan it, I only knew that I had to have a birch tree. Again, I knew not why at the time and really wondered why I cared so much that I had a birch tree. Now to learn that it may have some possible deep connection such as that related to the above is almost more than my mind could absorb. The Question became “What am I to do with the dreams that took me here.” I chose to trust that answers would come. My preventive psychiatry training has conditioned me to tolerate fairly crazy possibilities and I am conditioned to consider the Divine factor. Eliade tells me – “the shaman’s instruction often takes place in dreams. It is in dreams that the pure sacred life is entered and direct relations with the god, spirits, and ancestral souls are re-established. It is always in dreams that historical time is abolished and the mythical time regained – which allows the future shaman to witness the beginnings of the world and hence to become contemporary not only with the cosmogony but also with the primordial mythical revelations.” Furthermore, it seems that “If a candidate does not follow the instructions received in his dreams, or the traditional patterns, he is doomed to fail.” That’s a bit strong. I would not want to function out of fear. It seems that felt resistance is not unusual, however – “Usually a person is reluctant to become a shaman, and assumes his powers and follows the spirit’s bidding only when he is told by other shamans that otherwise death will result.” This resistance to “divine election” is explained by “mankind’s ambivalent attitude toward the sacred.” My ambivalence is changing, as I trust in Buber’s insight that “God may take you where you wish not to come.” In Sanford’s strengthening statement, “it can be said we unconsciously contain an image of what we should become, and the psyche tries to lead each individual human being to fulfill his destiny” and in my experiential sessions with Sanford, I am learning to come into new relationship to the images from the unconscious. It is not quite so frightening and shocking anymore and someday I might not only get to know who Dee Pye really is, but even accept her. Perhaps this is a gift I really can’t refuse? I continue this journey. This paper has been a sacred experience. I am grateful for the opportunity this class afforded me. It was interesting that the weekend before Dr. Cummins class began, I had a dream. I was sharing my fascination with a huge rock on a hill to the class. In dreamwork with John Sanford, I was told that the rock is a symbol for the self – the philosopher’s stone. Loci with Ailo Gaup and my Reindeer Drum from him. 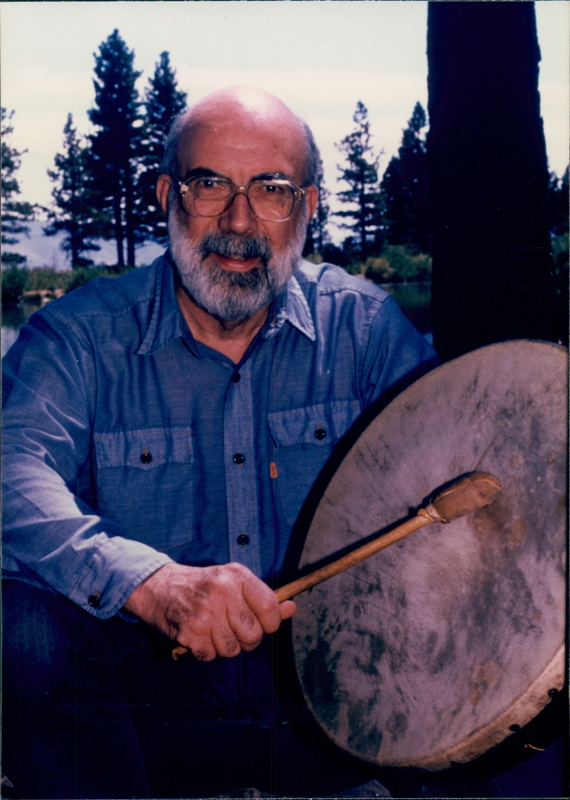 – My favorite drum for journeying was made from reindeer hide by Sami Shaman, Ailo Gaup. The drum, rattle and other tools of the shaman have their own special power and are used for journeying, bringing in power, driving spirits out, or welcoming the soul back home. Here is a recording of my personal drumming. 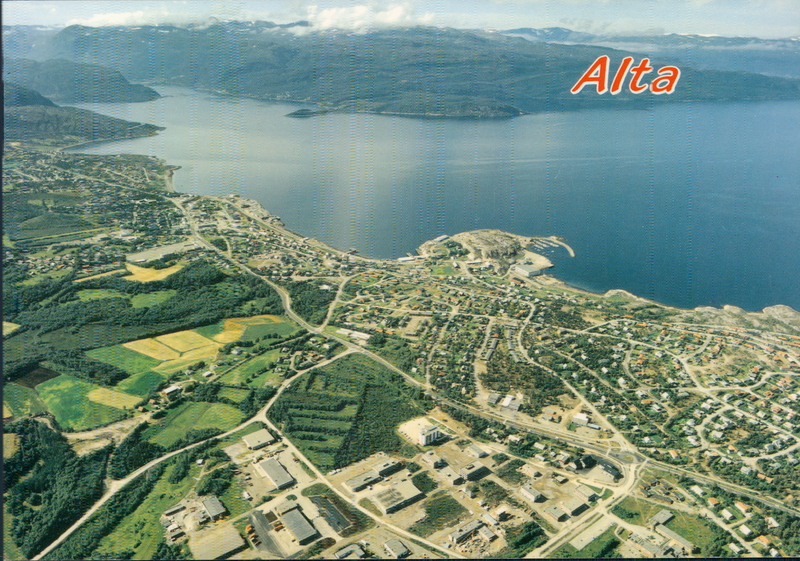 Alta is Famous for their ancient rock carvings. Hear the voices of the foremothers! Have you let yourself to be stained? Are you part of the game for yourself too? Listen when the forefathers will ask you: Don’t you remember where you came from? You have sisters, you have brothers, in the jungles of South America, in the stony shores of Greenland. Don’t you remember where you came from? Hear the cry of your forefathers ask: Why you let the earth become polluted Poisoned Exhausted ? Hear the voices, girl, boy Hear the voices of our foremothers The Earth is our mother If we take her life, we die with her. 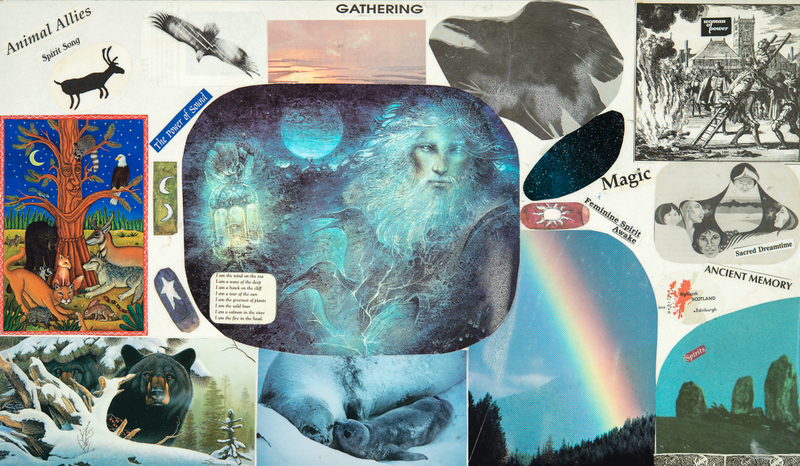 All of those pictured represent the people I was lead to while on my personal shamanic quest to bring these treasures to my practice.